We went to Pumpkinfest with some friends last weekend. It was a very crowded event! But that didn't hinder the kids from having fun together. 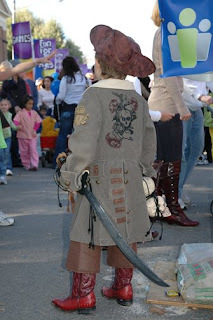 There was a whole street designated for the kids to ride pony's, play games and jump in inflatables. Very fun! 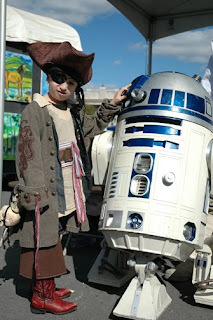 Here is a pic of me and my little pirate..
And here is a pic of Andon and R2-D2. 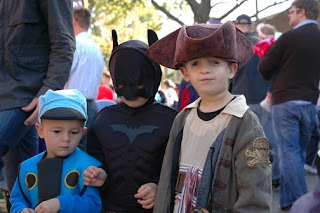 Here is a pic of the boys is their costumes... Aren't they so cute!? 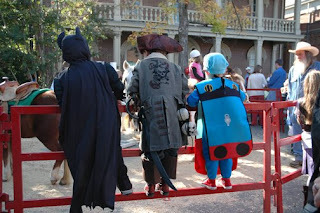 Here are the boys waiting to ride the pony's. Andon was very emotional the whole time we were waiting because there was a specific horse that he liked and wanted to ride. 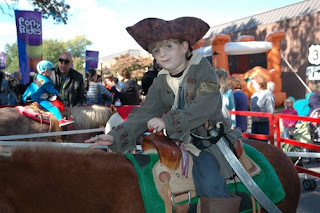 Every time he saw a kid get on that horse he would start to cry! We almost didn't let hime a ride a horse at all. :) So, finally when we got to the front he asked the man if he could ride the brown horse with the green on it. All in all it was a fun time outside in the beautiful weather. Because really ever since the weekend it's been in the 40's! I think we went straight to Winter here. I'm guess i'm gonna have to get used to the cold weather!!! I love the weather, not sure how long I could stand it. Hopefully we can come experience it sometime! What a fun time! 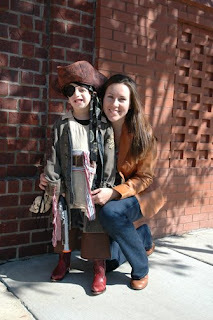 I love his costume! The weather is great now down here. We've got a couple days with highs in the 60's!! Woohoo! 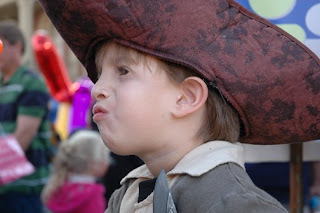 He is one cute pirate! !